These Amadeus movie facts are based on the 1984 film of the same name. Peter Shaffer adapted his play Amadeus, loosely based on 18th century composers Wolfgang Amadeus Mozart and Antonio Salieri, into what turned out to be an Academy Award winning film. Shaffer never claimed his film to be an autobiography or documentary of the lives of Mozart and Salieri and there has been much talk over the years for the creative licenses he took in the film. After seeing the film, which, by the way, is now in the American Film Institute's 100 Years...100 Movies list, many are wondering what is fact and what is fiction in the film as it pertains to the actual events of Mozart's life. Keep reading to learn a few Amadeus movie facts from fiction, focusing on the main characters of the film. The theme of the film is based on Salieri's jealousy of Mozart's talent. While this makes for a great film, it is believed to be untrue in real life. Through various accounts, it turns out that Salieri had a deep respect for Mozart and the two had a good professional relationship. In the film, Salieri is confessing to murdering Mozart by poisoning him. 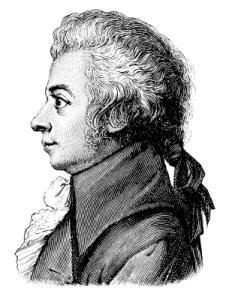 Though it is said that a rumor circulated Vienna in the 1820's that Salieri poisoned Mozart causing his death, this was never proven as fact. Mozart actually died of a fever. Shaffer simply took the story and developed it for the film. In 1825, two of Salieri's caretakers stated that Salieri, who was senile, never spoke of, nor confessed to such a crime. There are a few Amadeus movie facts in which Shaffer took a some creative liberties with, but it made for a great film and again, he never claimed the movie to be a biography of Mozart's life. The film depicts Mozart's father Leopold visiting him and his wife Constanze in Vienna in 1785. The film portrays this as the first time Constanze and Leopold meet. In fact, Constanze and Leopold met for the first time two years prior in 1783. A meeting that is said to not have gone so well. Additionally, in the film when Leopold shows up at Wolfgang's home, it is in disarray and meant to show that Wolfgang is financially insolvent. Historically, at the time of Leopold's visit, Wolfgang was at the height of his popularity (while living) and doing extremely well financially. In the film, Mozart's wife Constanze is largely depicted as cold and naïve, when in fact, she was nothing but. Mozart loved his wife deeply and she is credited with furthering Mozart's work after his death. Quite possibly the biggest fact versus fiction in the film for Constanze was when it was implied that she had an affair with one of her husband's students and that Franz Mozart was actually not Wolfgang's son. This is easily disproved by the fact that Franz carried a significant genetic deformity of his father's, which was a malformed left ear. There are plenty of other differences in the film Amadeus and the actual real life events of the beloved composer. The above described facts just happen to be the most major disparities between his life and how Peter Schaffer adapted it to play out on stage and on the big screen. Though many critics and scholars have commented on the differences, all agree that Peter Schaffer wrote an amazing film that brought more attention to the life and music of Wolfgang Amadeus Mozart.